A little bit of theatrics…. Recently the Heatherly Design team were invited to the launch of the new Catherine Martin range from Mokum Textiles. 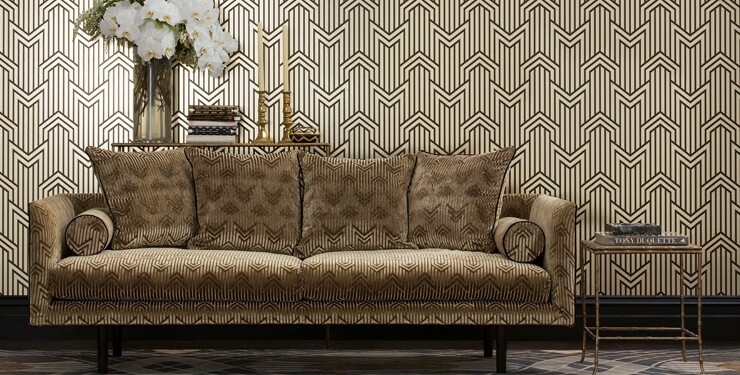 This Acadamy Award winning production and costume designer has applied her theatrical style to the Metropolis collection – a new range of fabrics and wallpapers in collaboration with Mokum. Martin’s second collection with Mokum, Metropolis captures not only the rich decorative nature of Art Deco but also its geometric modernism. 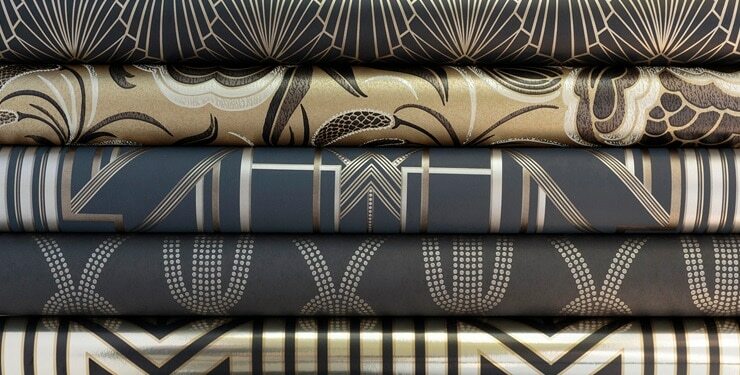 The Metropolis textile collection includes luxurious velvets, embroidered linen, and elegant trims. This is complemented by the Charleston Pearls drapery, which was inspired by pearl strands, so very fashionable in the Deco period. The collection is made complete with five sumptuous coordinating wallpapers utilizing diverse printing techniques. 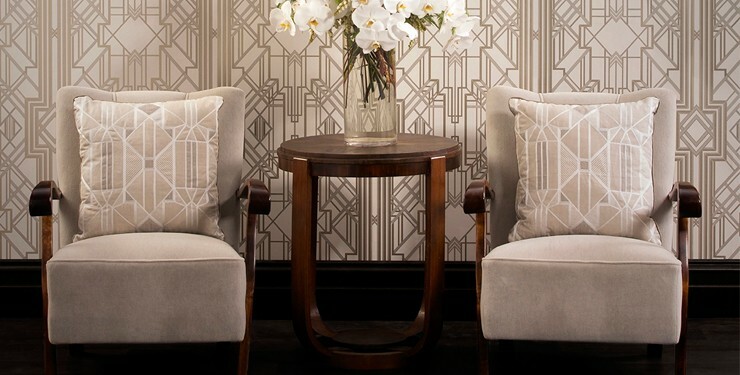 These include metallic inks and foil alongside textured surface prints, capturing this luxurious and spirited era. Using wallpaper as a feature in the bedroom is becoming a popular trend, and we have noticed that a lot of our clients are using this decorating tool to create dramatic and layered boudiours. This trend has been popular in boutique hotels in Europe and America for a few years now and our Heatherly clients are realizing the potential for a totally decorated room that they can retreat to and be enveloped by. We have devoted a board on Pinterest of beautiful rooms utilizing wallpaper, so press the button on the top of our home page for more inspiration. Posted in Designers We Love, Fabric & Colour Inspo. ← NewerIt’s beginning to look a lot like Christmas….